About - Van Horn, Metz & Co. Inc.
Van Horn, Metz & Company was incorporated in 1950 as a result of a partnership between Harold Van Horn and Donald Metz, both of whom had worked closely in Government paint formulation during War World II. This provided the foundations upon which Van Horn, Metz has grown to become one of the leading distributors in North America. The company’s growth is reflected today in a strong customer base served by our team of technical experts, strategically located across the central and eastern US – from Nebraska to North Carolina, and Michigan to Mississippi. With an ever-growing sales force spanning many states, our customers are guaranteed regional focus and attention. The logistics and warehouse capabilities include 12 warehouses and six sales offices that allow Van Horn, Metz to effectively source globally. The partnerships with our customers and Principals are our core focus. The passion for innovation from our Principals drives us to continuously enhance our technical expertise and allows Van Horn, Metz to quickly react to market changes and respond to our customers’ needs. At Van Horn, Metz we are committed to growing your business and promoting innovation by staying abreast of industry’s standards, offering the latest technology and high-quality products, and providing superior customer service and convenient stocking locations. Our alliances with a network of quality Principals and industry partners allow Van Horn, Metz to match our customers’ individual specifications and product requirements by giving them access to a broad range of products and services, thereby contributing to their success and encouraging them to set new standards of industry excellence. Whether you are looking for low VOC alkyds, functional additives, pigments or any product falling under the CASE umbrella, Van Horn, Metz is able to address your requirements for environmentally-friendly alternatives or to improve your raw material cost. Van Horn, Metz strongly believes in fostering positive relationships with our customers and Principals by providing effective, sustainable and reliable business solutions. Through a combination of team effort, industry experience, market knowledge and a continuous training program, we are able to add value to all of our business relationships. Van Horn, Metz pursues our Principals’ sales initiatives and targets while providing market intelligence. Our go-to-market strategy is done in a consultative selling manner by our highly-skilled technical team, whose extensive knowledge and expertise contribute to our customers’ and Principals’ success. 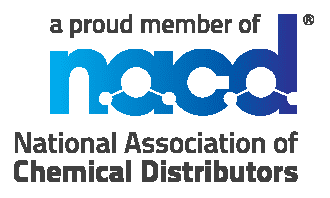 Van Horn, Metz is a long-standing member of the National Association of Chemical Distributors (NACD) and adheres to its Responsible Distribution policies and principles. We are proud to have recently passed our sixth NACD Responsible Distribution® verification for the current three-year cycle, reaffirming our commitment to the health, safety, and security of our employees, communities, and the environment. We take our distribution responsibilities seriously and work continuously to improve our performance in every phase of chemical storage, handling, transportation, and disposal.